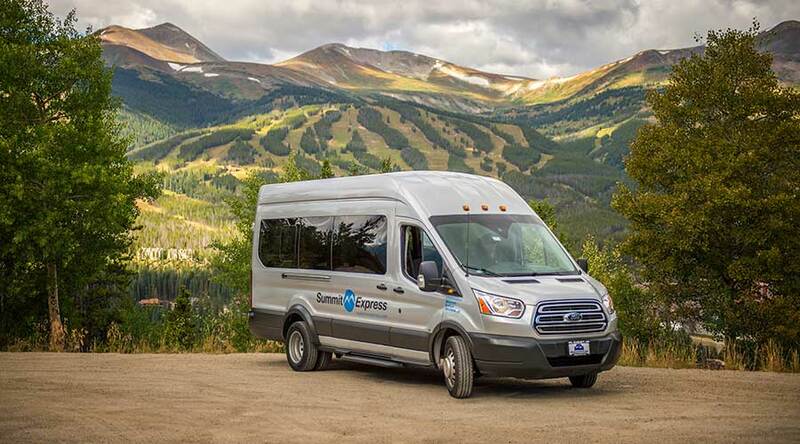 Summit Express provides Colorado mountain airport shuttles to all of Summit County and beyond. We are currently booking scheduled airport shuttles for the Spring 2019. Below is our daily shuttle schedule, if your travel needs fall outside of our schedule, we offer private charters 24 hours a day, 7 days a week. Summit Express transfers passengers between Denver Airport and all of Summit County with our daily scheduled service. We have scheduled shuttles 7 days a week, and our private charters are available 24/7. Choose your destination below to review detailed Colorado mountain airport shuttle schedules for each location.